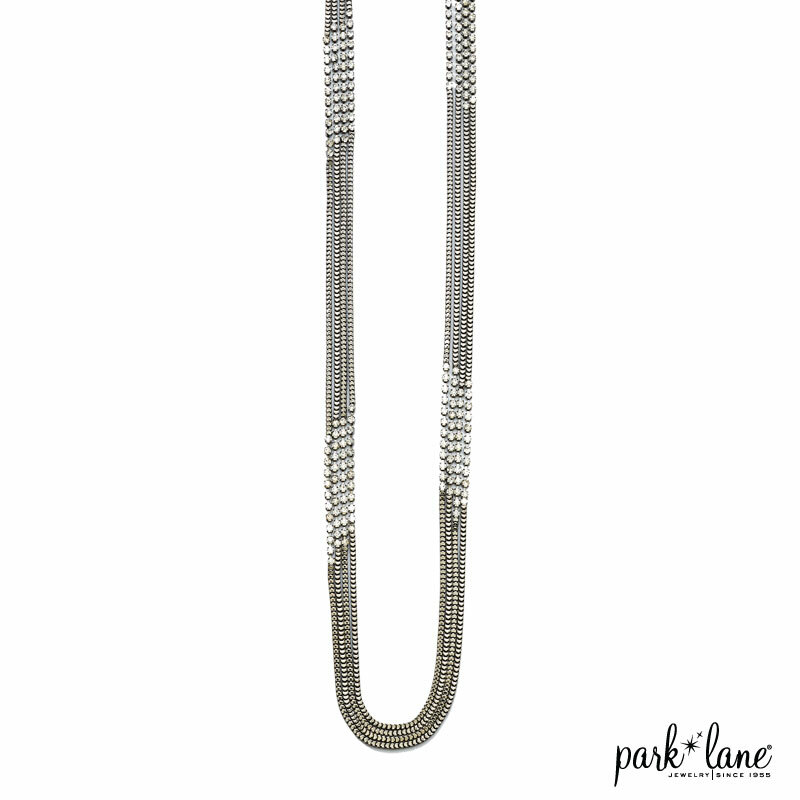 Diamond-like crystals are sprinkled throughout the chain drape. The fringed tassel earrings add even more drama. Art-deco era elegance meets present-day glam. Pierced earrings are 3 1/2 inches long; fishhook-style.